Precision Auto Repair is a family owned business delivering honest and professional automotive and maintenance service. We strive to give the highest quality of customer satisfaction. Precision Auto Repair is a certified NAPA Auto Care Center; we are able to provide the benefits of an established national entity while maintaining the personal touch of a family owned business. Like stock brokers Precision Auto Repair looks at each customer vehicle as an investment. We believe in getting a good return on your investment. 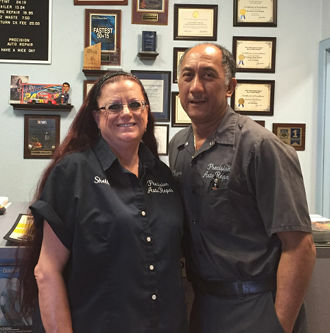 Precision Auto Repair Corp. will become well established in Kailua-Kona Hawaii. With the use of the latest automotive technology for proper diagnosis. Precision Auto Repair Corp. will improve the effectiveness and efficiency of automotive service and repair, and become known for quality precise work.